I am an Assistant Professor of Political Science at SUNY New Paltz where I teach classes on a range of topics in American politics and public policy as well as social science research methods. I serve as an Associate Editor at Urban Affairs Review where I edit the Urban Affairs Forum -- a website that publishes accessible articles on urban affairs research. I am also a contributing author to Ed Greenberg and Benjamin Page’s introductory American politics textbook The Struggle for Democracy. 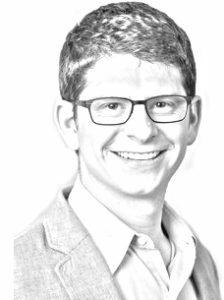 My research broadly revolves around ideas related to the geography of American politics with an emphasis on local government, budgetary politics, public policy, public goods, and social behavior. 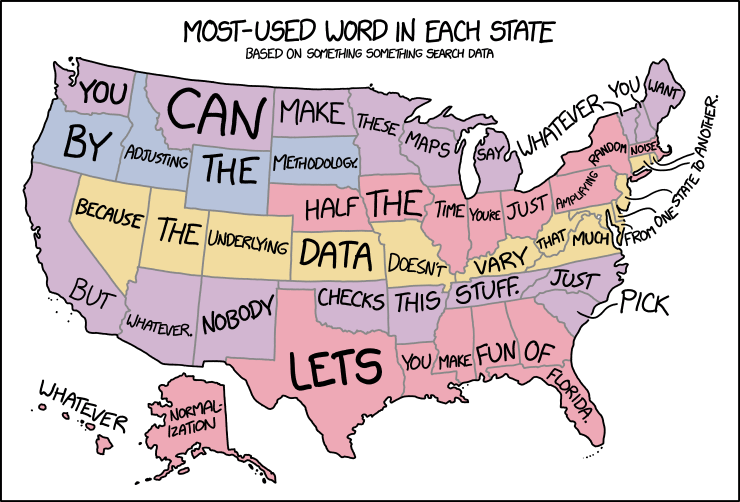 Most of my work involves the use of geographic information systems (GIS), mapping, point pattern analysis, and other spatial and non-spatial statistical methods. I have published on a range of topics including the spatial relationships that exist between cities and how they impact budgetary decisions, 311 programs, and use of spatially-weighted survey metrics (Full CV). You can find my work in American Politics Research, Political Geography, Urban Affairs Review, and Social Science Quarterly. Todd Makse (Florida International), Anand Sokhey (CU Boulder), and I have recently published a book with Oxford University Press. Politics on Display: Yard Signs and the Politicization of Social Spaces examines one of the most conspicuous features of American political campaigns, yet one that has received little attention as a form of political communication or participation: campaign yard signs. In a climate in which the American public is highly polarized, these symbols are more than simple campaign tools—they are literal markers of partisan identity. As public cues that push into private life, they affect individuals and their neighborhoods, coloring perceptions of social spaces and impacting social networks. 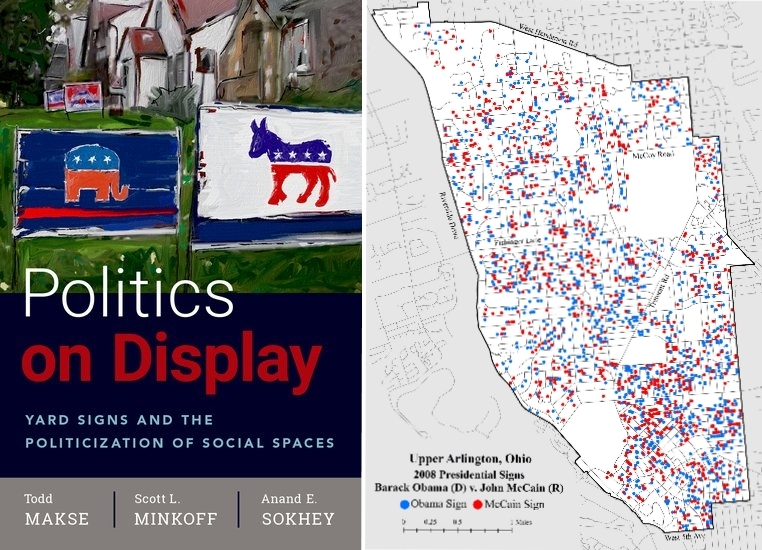 We document political life in two suburban neighborhoods using an innovative research design that combines street-level observation of the placement of signs and neighborhood-specific survey research that delves into the attitudes, behavior, and social networks of residents. I am also starting a new project on local boundaries. A lot of recent political science research has focused on legislative districting and how that process can be manipulated to achieve various kinds of (intentional and often distorted) representational outcomes. Less attention has been paid to local jurisdictional boundaries (e.g. city, town, school district) which have remained mostly stagnant despite shifting settlement patterns, changing costs of policy production, and the potential for new political coalitions. While local jurisdictional boundaries are more difficult to manipulate than legislative districts, they have important policy consequences and can be changed if citizens (or state legislatures) want to change them. Using a range of methods including tracing the historical development of existing local boundaries, natural experiments involving boundary changes, comparisons of policy outcomes in cities with different demographic makeups, and GIS-based simulations of alternative boundary configurations I aim to show the connections that exist between local borders and local policy. I can be reached at sminkoff@gmail.com. Check out the website for my new co-authored book: Politics on Display. I have updated my Guide to Writing Research Papers in Political Science. The guide addresses a range of topics. After summarizing the six parts of a research paper, I offer some suggestions on how one goes about selecting and refining a research question. I then discuss the development and writing of each of the sections of the research paper (including sections on variables and the data matrix) and conclude with a section on sourcing. Along the way I discuss common problems that students face when writing a research paper and offer some suggestions about how to overcome them. A short version of our Living with Inequality paper is now up on the London School of Economics US Politics blog. This article explores whether the places where people live—and specifically the diversity of incomes where people live—influence views about income inequality. Using a unique survey of New York City that contains geographic identifiers and questions about attitudes toward inequality, coupled with a rich array of Census data, we assess the degree to which the income diversity within spatially customized neighborhood boundaries influences beliefs about inequality. We find consistent evidence that attitudes about inequality are influenced by the places where people live—those who are exposed to more income diversity near their homes perceive larger gaps between the rich and everybody else, and are more likely to believe that the gap should be smaller. Moreover, this effect appears to be especially pronounced among those with lower educational attainment and at either end of the income spectrum.